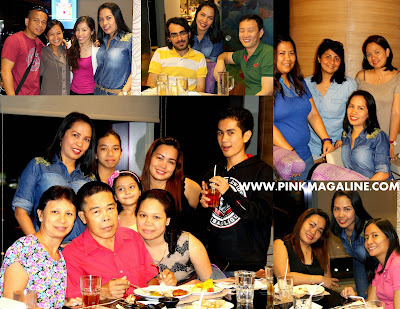 A small gathering with family and close friends over a luxury buffet at Vikings in SM Megamall, that's how we celebrated Suna's first birthday last August 8, Friday. It was a mutual decision for both hubby and I not throw a children's party for our baby daughter. We observed from all the birthday parties we attended and had in the past that babies enjoy only a little during their birthday party. Most of the time, they tend to be cranky, sleepy and out of focus unlike bigger kids. The plan worked, we're glad it did, we invited just a few people for dinner and it was a blast. We arrived early at the restaurant, around 6 o'clock, so we did a little photo session while waiting for our guests to arrive. As you can see in the photo, my two girls are matchy-matchy in their American Princess floral dresses. Askim wore the DIY bow headband I made for her, while Suna got just a tiny ponytail for her soft baby hair. As for the mommy, that's me, I wore a chambray button down shirt with camouflage details and denim jeans, both generic brands from the department store, creating a denim on denim look. I accessorized my outfit wearing Timex watch, gold earrings and skinny braided belt from Istanbul, and my every comfy Primadonna cage heels. This is the Vikings VIP room we rented for the party. The long table has 16 chairs. The smaller table at the farthest right has 4 chairs. The total number of guests who came was more than 20, so we had an extra table located just outside this room reserved for those who came a little late. Also, we availed the Big Group Promo for this party. Some of our family and friends who came to celebrate with us, clockwise from left to right, Vince, yogini Edel, Lara, Martin, Madz, Joanna, Arlene, Renalyn, Jacqui, Christian, Gretchen, Katherine, Unlce Dong, and Auntie Mel. There were more but I choose not to post them all as to avoid a heavy blog entry. After a birthday song by the singing waiters, Askim and I helped Suna blew her candles both on the flowers and fairies themed cake by Niji Desserts and the complimentary cake by Vikings. Now she's officially one year old. Thank you so much to all who made it to her party. Next month, it's gonna be Askim's 6th birthday so tune in for the theme and the celebration. Everyday that I see photos of people on healthy dieting, going to the gym, doing yoga, and the like, I also get inspired to slow down on my diet, watch my weight, and slim down. Let just say that this a bit of hype started after I gave birth to my baby daughter a year ago. Actually, I wanted to bounce back to my old size, not right away, but at least, surely. So here I go again, trying to apply whatever I learned from a very informative diet seminar I attended 5 years ago, eating in moderation, spreading meals for a faster metabolism, less fat, less sugar, and exercise. Below are the 5 specific steps that I follow in order to achieve a slimmer and healthier post-pregnancy body. 1. Eat Right. Go on a strict diet but don't deprive yourself. Being a fish and vegetable person, for as long as I can remember, I ate mostly seafood and fresh greens and had minimal consumption of meat esp. pork. I always try to eat everything in moderation with an exception of leafy vegetables which I take without limits. Avoid too much oil, salt, and sweets. They are the ones that can make you weak and sick. 2. Hydrate. Always drink liquids and my most favorite is pure water. As much as possible, I stay away from soda or carbonated drinks. I also choose freshly-squeezed 100% juice over sugar-packed powdered juices. 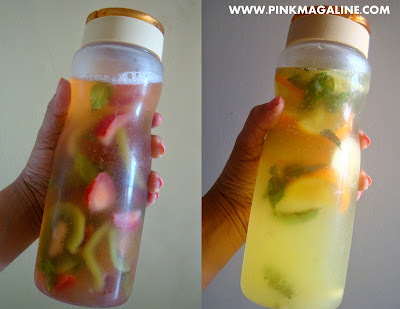 Better yet, take infused water instead of diet soda or concentrated juice for that matter. 3. Exercise. Be on the move. Practice brisk walking instead of the usual walk in the park mode. In the morning, I follow a routine exercise that targets the extra flab in my stomach. I sometimes do the same set of exercise before bedtime. I used to go to the gym, but I felt dizzy and weak so I am avoiding any strenuous workout for now and while I'm still breastfeeding my little one. Ask Google for a scientific explanation for this one, if you are curious. 4. Sleep Well. Get that 8 hours of sleep everyday. If you can't do an 8 hour, take some power naps. As a breastfeeding mom, this is one of my current issues; something that I have been longing to achieve. I rarely take a complete long sleep during weekdays as well as weekends. My baby randomly wakes up and plays in the middle of the night. She also wakes up between 5AM to 6AM most of the time. It is a bit of a challenge, that's why that moment I feel like my eyes are too heavy to handle, I would stop whatever I'm doing, ask my helper to babysit, then I take my morning or afternoon nap. After an hour or two passed, I would wake up feeling way better and energized. 5. Take Vitamins. I consider this important because no matter how much we eat, I think we can never have a perfect supply of vitamins and nutrient in our body. In my case, I hate taking pills. I don't take them unless I really need it or my doctor recommends it. These days, I take multivitamins to have a strong resistance against sickness, malunggay capsule in order to maintain a good supply of breastmilk, and lastly, I take a dose of Myra Vitamin E to help boost my skin from within. Before the breastfeeding month ends, I would like to dedicate at least one entry talking about how grateful I am to breastfeed my little darling since birth until the present. 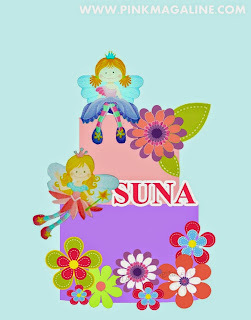 My baby daughter, which we fondly call Suna as her nickname, already turned one year old this month. She had a taste of formula milk during infancy, but thanks God she never liked it, or else, we would be spending extra money on very expensive powdered cow's milk, which is not a good idea. Also, I admit I have tried to bottle feed my baby in the past. I expressed milk for her to consume whenever I'm out to run errands and even built an extra supply in my freezer. However, she would just push her bottle and cry and the same thing happened every time I attempted to leave her home with thawed milk from the fridge. I know I am not perfect, I needed more knowledge on breastfeeding, so glad that I met new friends who taught me the benefits of an EBF (exclusively breastfeed) child and DBF (directly breastfed) child. In the end, I realized, good thing that my baby daughter never get used to bottle feeding nor formula feeding, we are able to save money and confident that she is in good health. Thanks be to God. I promise I will breastfeed my child as long as she wants. To my fellow breastfeeding moms out there, I guess you know by now that SM, being the first mall to provide a breastfeeding station since, I think 2006, until other malls followed suit, now has more and more branches with a breastfeeding facility. So far, the newest and the nicest breastfeeding room I have visited at SM is this one in Makati, located at the 3rd floor of the department store, beside the comfort rooms. 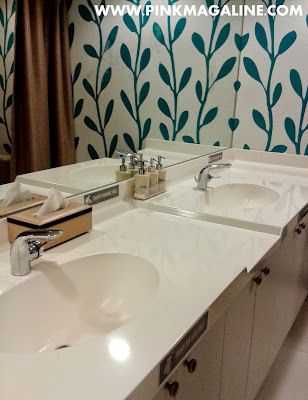 It has a couple of washbasins with a diaper changing table in the middle, complete with toilet necessities like tissue paper, hand sanitizer, lotion, and liquid hand soap. Upon entrance, you'll see thick brown curtains on the right and at the back of those curtains are cushioned chairs with arm rest and pillow for comfort. Visible from the outside through the glass wall is this small sofa intended for other moms in queue. 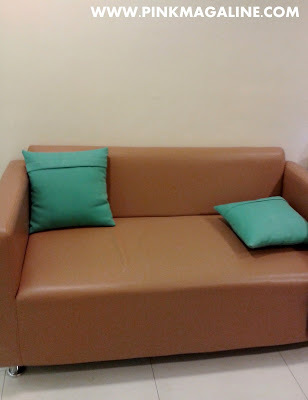 I like it that the ambiance of SM Makati's Breastfeeding Station is clean and fresh. I hope that they'll consider changing the lights and make it a little dim and dreamy, though, as to provide a good feeding atmosphere to nursing moms and their babies. Again, kudos to SM for supporting the breastfeeding campaign and helping spread the awareness. This is my first time to buy a fondant cake, ever. I thought, fondant cakes are ridiculously expensive and most bakeries out there are overrated. So, in order to avoid disappointment, I did a bit of a research about my target supplier, Niji Desserts, and conducted a trial transaction. So far, so good, the first cake I bought which was Chocolate Chip Cookie Dough Cake was a hit. Now, for my baby daughter's 1st birthday, I had a customized flowers and fairies fondant cake in chocolate ganache from the same baker. The design I picked was inspired by flower fairies seen at my girls' pink room. Here is the rough draft of the cake made by Miss Clarissa. Here's the finished product that was delivered to my doorsteps. It has very lovely details. The flowers and the fairies are so cute. Suna loved staring at her cake and eating it, too. The measurement of this cake is 6 in diameter for the first layer, then 4 for the second one. Again, it has chocolate flavor with chocolate ganache. Everything is edible in this cake and I paid P3,000 for it. Compare with other cake suppliers, I think Niji Desserts have the edge on becoming more and more popular. The owner, Miss Clarissa Banaag, already started catering to local celebrities and had her share of exposure to the media. Aside from cakes, she has cupcakes and other pastries, too. For more details, check her contact info below. Look What Happened Next After a Mom Discovered a Naked Barbie in Her Daughter's Toy Box. How do you like the title of this entry? Hahaha. This is what I get from reading too much viral articles in the internet. The truth is, I got bored the other day so I looked for something to spend my spare time with. I ended up creating a tiny Filipiniana dress for Barbie out of the leftover fabric I used to sew Askim's new baro't saya. Actually, making tiny dresses for her Barbie is one of the things that I've been planning to do. I can see that some of the dolls in her toy box already lost their clothes, some lost their shoes. I grabbed one of them and gifted it with a makeover. Here she is now, looking perfect for the celebration of Buwan ng Wika. Me: There is an American woman here. She said, she wants to borrow Askim's costume. Blonde girl. I don't know what to say to her 'cos (I think) Askim's clothes don't fit (her). Hubby: I don't know. If you want, let her borrow. Me: Okay, I did. Good thing it fits. She likes it. Doesn't she look pretty? Then, I sent him Barbie's picture..
Me: I got you. Hahaha! Me: I love you, too, po. I realized that Barbie's hips is too small, the skirt I made gut stuck in there, now it looks like a mini on her. I was expecting it to stay in her hip 2 so the length should be similar to a midi, but it keeps running up. I guess next time I know what to do. I'll leave it that way for now and take no pressure yet. Besides, this is just my first time to dress a Barbie. More to come. Hopefully. 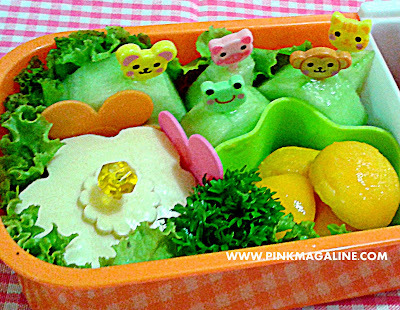 Okay, based in the photos, you might want to ask how come I call this cheese sandwich and chocolate cake bento when all that you can see is piece of cheese in a flower design and the rest are fresh slices of cucumber, mango balls, and chocolate cake in a bear shape on the side. Well, the truth about my sandwich is, just the top part visible and the rest of the sandwich is concealed. Lift that cheese and you'll see the whole sandwich. I am using my bento flower divider and in cute animal bento food picks for the first time. Isn't it cute? Fresh and delicious, too. 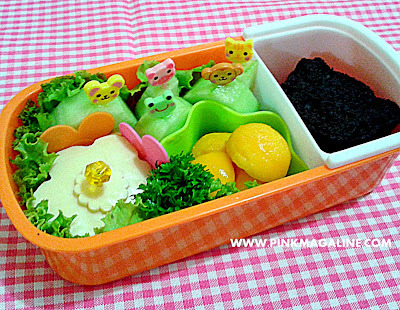 My elder daughter loved this simple bento so much. To my Instgram followers, as you may notice I stopped posting bento photos everyday not because I stopped making them, it's because I decided to synchronize my IG with my blog. From now on, the bento that you'll see in my IG will be the same bento featured in my blog. Oh, for my next bento blog, I will be sharing one of the bento boxes I prepared during the past exam week. I am also adding a quick snack recipe in the same entry. If your kids love chocolate, I suggested you watch out for it. That's it for now. Have a happy long weekend, everyone! 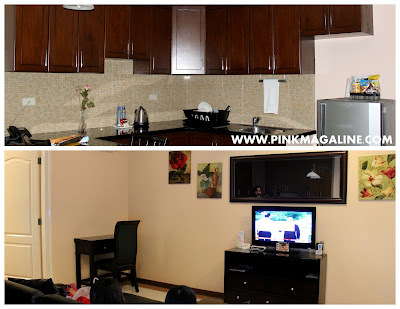 We didn't have a hotel reservation when we went to Angeles City to unwind more than a couple of weeks ago. 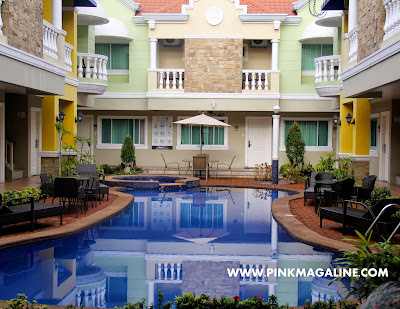 After swimming and having fun at Fontana Water Park, we headed to the heart of city to look for a place to stay. Unfortunately, it started to rain so we kind of rushed in getting a room just so the kids are comfortable and safe from flood. We first checked Holiday Inn inside the Clark Freeport Zone. However, there was some sort of convention for a known motor corporation that weekend and turned out, most of the delegates booked their rooms. Thanks to Mister Google and his map, we finally made it to Prism Apartelle, a small hotel located just a few minutes away from Clark International Airport. This is the facade of the hotel. It looks kind of boring but wait until you see inside. Here is the view of the inside premise, all rooms facing this lovely pool and jacuzzi and a few tables and chairs around it. We're all done swimming all day at Fontana, so we just admired this beauty and never dipped in. We got the the executive queen suite, a fully-furnished room with a kitchenette, living area, a separate bathroom and a private door leading to the pool. This queen-sized bed was perfect enough for hubby and I and the kids. The only thing I noticed while at Prism Apartelle was the noise coming from the exhaust and the air-conditioner outside the window of our room. It was a bit annoying to listen to when we were still awake. Good thing we were so tired that day, we managed to doze off despite the sound. If we were to visit Clark again for a short trip on a weekend, I will definitely tell hubby that we book this place once more. I love it that it is not crowded and their rooms are spacious. Plus, they have a pool and a jacuzzi for both kids and adult to enjoy. They serve a little pricey breakfast yet we managed to control the by mixing and matching the food choices, deconstructing and sharing. All in all, the service given to us was good, nothing major to complain about. For more details about the services of this establishment, check their contact information below. A couple of weekends before my baby daughter's birthday, we went out of town to Angeles City in Pampanga for some relaxing and sightseeing. There was a major traffic that day because of the centennial celebration of one religious sect, however we were able to avoid the crowd along NLEX as we managed to leave the house the earliest time possible. It was not really our original plan, though. The original plan was to drive all the way to Nasugbu, Batangas for a weekend at the beach in Pico Sands. Due to an unforeseen circumstance, we cancelled it and decided to go to Fontana Leisure Park in Clark, instead. So okay, a number of things remained the same, a few are, sad to say, already broken, but some things have improved as well, since the first time I came to this place almost 10 years ago. I remember it correctly that they used to have their shower rooms and changing area at this spot. Now, they have added amenities like this Water Cottage, Kiddie Pool a few steps away, and then the Big Horn ahead of it. These Giant Aqua Thrill Slides are an old favorite. Both hubby and I enjoyed sliding like teenagers here. Our whole family tried this Lazy River. It was fun here, going with the flow with the kids in tow. And, of course, everyone was thrilled by the Wave Pool which goes into action every 30 minutes. Surprisingly, my elder daughter who is afraid of (sea) waves didn't mind this at all. Towards the midday, it became very crowded as a group of Korean visitors and more local tourists came. So, after dipping and playing and swimming in the Water Park, off we went to check the Hot Springs, too. The one in the photo is the Lagoon Pool. Do a little walk to the right and you'll see the Cold and Hot Springs area. A man-made paradise scene. Perfect to take photos here or make it a selfie backdrop. It's the month of August again, the month wherein Filipinos celebrate Buwan ng Wika, the same month that kids go to school wearing a traditional costume or Filipiniana every Friday. At any rate, I have been looking for a cheap Igorot costume for my elder daughter though I have to admit that my first love is really the colorful culture of T'boli, ethnic people of South Cotabato. Their native fabric called T'nalak seems harder to find, so I was supposed to settle with something Ifugao-inspired as alternative. With that in mind, I went to my favorite fabric store to see if they have anything close to the ones worn by the Cordillerans yet found nothing. Sadly, I had to pick the quick and easy to DIY costume again, the baro't saya. This is pretty much the same with what she wore in Junior Casa 1 here. The only difference is the bakya and the addition of a panyolita used as a headband. Sew, sew, and sew. 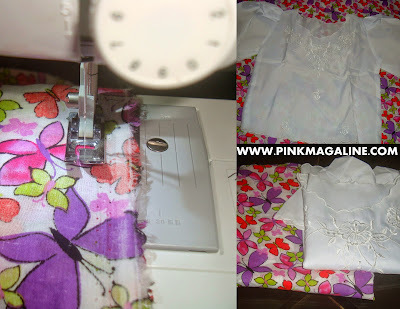 I bought the white kimona (top) in Guadalupe, then the floral fabric at Megamall. I am happy with the outcome of this project, considering the fact that I only paid P450 all in all. If you are to check SM's Kultura, they sell a wrap around floral skirt with a very bad quality for P400. I was feeling desperate and nearly bought it, but glad I changed my mind. 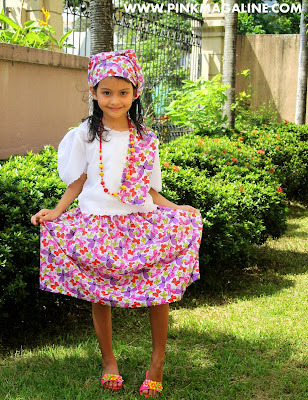 I promise that I will get that T'boli costume for my daughter next time. I will ready it even before the next school year starts. Promise! PS. Sorry for the ironic entry, blogging in English while in fact it's the language month of my home country. I hope you guys understand that most of my readers are from the United States, though. Hihi. 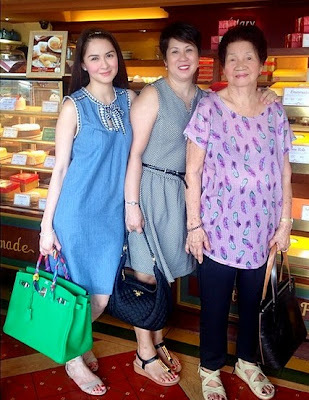 I remember featuring Marian Rivera with her blue Hermes Kelly bag in a blog entry here. That year was 2011 and she was starring in a movie called Temptation Island together with Lovi Poe, Heart Evangelista, and Solenn Heussafff. 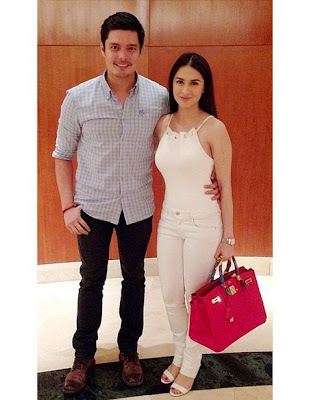 Fast forward to the present, Marian is now engaged with her long time boyfriend, Dingdong Dantes, and apparently, as seen in her Instagram account, she is now a proud owner of lovely, lovely Hermes Birkin bags in different colors and materials. Prepare to drool. 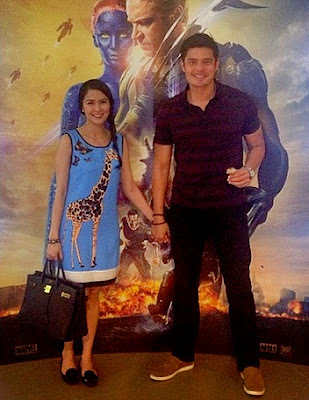 This couple dubbed as DongYan is very sweet. 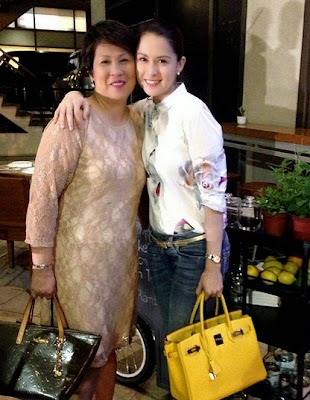 I am guessing the Hermes Cyclamen Birkin with golden hardware that Marian is toting is the newest addition to her collection. This must be the Rose Tyrien. It is so pretty and feminine, adds a flash of color to her all white ensemble. Marian is a stand out beauty on her own, but the bag made her more elegant and stylish. Whether dressed down with her mom and grandma or a bit prim and proper to go on a date, the green Birkin made both outfit look fresh and pleasant to the eyes. Can you tell what kind of green is that? Purple, pink and green.. here comes Hermes Cumin. BTW, another celebrity I know with a yellow Birkin is Gretchen Barretto. The two obviously share an excellent taste, huh? If I were to buy my next bag, not Birkin because I'm poor, I want it in this of kind of brown, similar to Marian Rivera's classic Hermes Etrusque Birkin, a versatile masterpiece. I think this is the kind of Birkin that suits Marian Rivera's beauty well-- White Clemence. It is perfect for her aura. She glows with it even the photo was taken at night. Black is another classic color for a Birkin. I supposed this piece didn't escape Marian 'cause girls sometimes want to be plain yet powerful. Last but not the least is this Birkin in tricolor. I see this one is a unique piece because of its red and orange detail. Its material could be Clemence for the black and red, then Varanus Niloticus for orange. For the record, I saw an authentic Birkin just once or twice and never held one with my own bare hands. I only learn from window shopping online, checking luxury sites, reading fashion articles, and visiting shopping diaries of bag hags around the world. So, I hope you excuse me if I label most of these bags incorrectly. 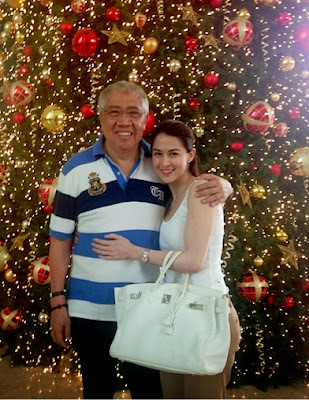 I am posting this entry in admiration of Marian Rivera and her Hermes Birkin bag collection. Please feel free to comment if you know the correct name, color, or material of any of the bags in the photos. Thanks in advance. Cheers! 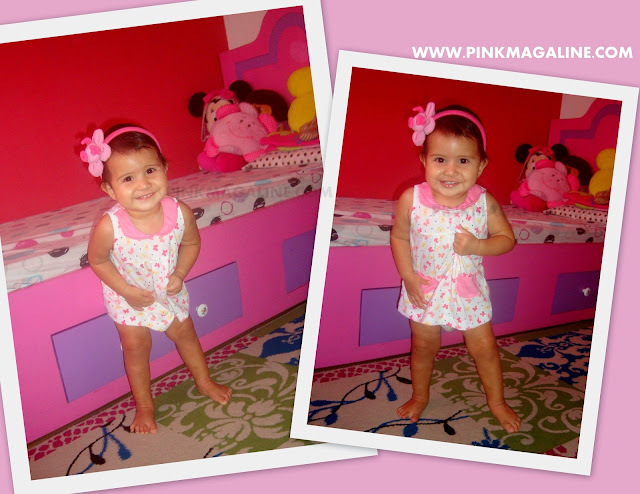 Exactly one year today, I was in Makati Medical Center, giving birth to my second daughter Suna Isobel. Time has flown by so fast, huh. She is now talking, walking, and doing a lot of awesome baby stuff around the house. I must say she is a sweet and happy baby. She smiles a lot even to random people at a mall or elevator. She is now the apple of the eye of my family. She can pose for the camera. Look at that smile. Just like a doll. She knew I was shooting so she smiled some more. As she turns one today, I reflect on how wonderful Heavenly Father is for giving me this baby, entrusting her life to me, me being her mother. I am overwhelmed by the fact that this very cute creature came from my own body. At first I thought hubby and I had a firm agreement about having one kid only. Things changed when he got carried away, or best to say we, by the request of our elder daughter to have a baby sister. The next thing I know, I was already having signs of pregnancy and here goes the second baby. I love her to bits. My dear Suna Isobel, the world is yours. Conquer it! My First Time to Use a Facial Scrub for the Sake of WHITENING! That's right, I am using a whitening product, Asian Secrets Lulur Whitening Facial Scrub to be exact, in order to achieve a face with even skin color. I wonder if it really works and if it's true to its claim on smoother and glowing skin. For the record, I am not obsessed with whitening creams or lotions like most girls out there. Truthfully, I don't see my complexion as something that I need to change. I love it that I am brown or tan, but I always have to address its roughness and dryness being a person who suffers from skin asthma and extra dry skin. I have a combination of types when it comes to my face. My T-zone is oily, my cheeks are a bit sensitive, then my forehead is very dry. I have dark spots in my chin every now and then, one thing that I get from kissing my full-bearded husband, plus freckles from below my temples to my upper jawlines. When it's cold, my skin becomes tight and itchy. When it's too hot, it becomes dry. I watched a review of this product in YouTube and read from fellow blogger that she's been using this brand ever since it came out. They got me really curious, so I am finally giving it a try. The packaging says, Asian Secrets Lulur Whitening Facial Scrub is inspired by the Javanese royalty tradition intended for the bride-to-be to beautify her skin before her wedding day. Dyaraan! I hope I didn't scare you with this photo as you scroll down the site. This is just me with my face covered with Lulur facial scrub. I basically look like this every evening before bedtime. Lol. Again, this is my first time to use a facial scrub for the sake of whitening, like consciously, on a single part of my body. Which part you ask? That's the forehead. As you may notice in my old photos here in the blog, my forehead is darker than the rest of my face. It's awkwardly dry and shiny, too. Honestly, it has been my problem since high school and makes me feel embarrassed at times. When I was young, I experimented on a certain cream to treat skin asthma, eventually healed but ruined my forehead. These days, I make sure I apply powder, foundation, or BB cream to make it look even before going out. Well, I hope Asian Secrets help me deal with this problem. I've been using Lulur facial scrub for weeks now. Here's my short and honest review about it. -It has micro beads which aids the removal of dead skin. -The smell is not overpowering. At least, it doesn't hurt my nose when I accidentally rubbed it around the area. -Gentle to the face. No stinging sensation after use. -Acts as a facial cleanser, too. No need to grab a soap after scrubbing. -Very handy like a spa on the go. -Affordable at P70 for a 50 gram tube. -It is not advisable for everyday use. -No enough moisturizer for my extra dry forehead. -Result doesn't come quickly. Sorry, nothing else to say. Haha. That's just my personal experience right there. Everyone has a different skin type and reaction to a certain product could vary depending on the person, so I still recommend it. In my case, I think I have to continue using it until I see a visible result. I can see I lightened a little but not yet satisfied with it. I am giving Asian Secrets Lulur Whitening Facial Scrub a shot by finishing an entire tube before finally going back to this entry and conclude its whitening capacity. Till then!